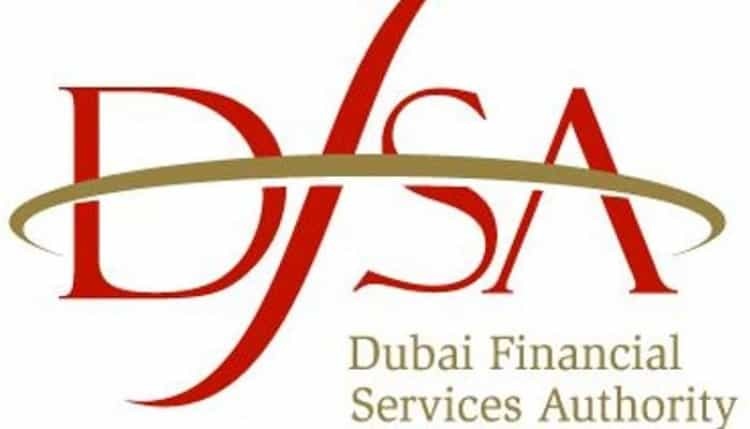 The Dubai Financial Services Authority (DFSA) is the independent financial regulatory agency that was created simultaneously along with establishing the special economic zone DIFC Dubai International Financial Centre, in Dubai, United Arab Emirates. This specific area was created back in 2004, with a purpose to enable specific conditions where the economy and finance with its own civil and commercial laws will develop throughout its global nature and act as a business hub for the Middle East. As the Middle East is known for its conservative approach to business and generally the way of governance, it was a need to create an area where numerous Sharia laws will be followed, yet will allow global firms and entrepreneurs to set the base of international business in the area. Indeed, the approach was a great move that showed for last decades fastest growing indicators with a boom of economic by itself and Dubai utmost development at almost any aspect. Dubai as being distinct from the UAE’s which falls also under federal Securities and Commodities Authority that covers regulation of the whole UAE economy. However, the DFSA provides a regulatory environment of international standards in DIFC zone specifically. The DFSA’s regulatory providing a financial service authorization and is a must for financial firm established or that carries out activities in the DIFC. This includes Banks, Brokers and Trading Dealers, Asset Managers, Wealth Managers, Corporate Financiers, Insurances, etc. The financial company established in the DIFC allowed to have foreign ownership and is subject to a civil, commercial and regulatory environment that is similar to the United Kingdom legislation. The DFSA operates a regime similar to the MiFID, whilst the protective tools enable market participants to engage in a Professionals market or allow a retail endorsement to undertake retail business or trading. Why trade with a DFSA regulated broker? There are no doubts about Dubai influence and importance in the financial world, which acts as a huge financial center and serves some of the wealthiest traders, investors and businessmen. Being a center of the Middle East economically, Dubai is an Islamic State where the Sharia laws are applicable to even business models or money management. Indeed, Sharia laws are quite different and strict at many points, however, Dubai allowed some progress, which was not available before. The foreign ownership of the company enables operation in Dubai throughout low taxes and utmost possibilities, while in fact, companies can establish business with very small government interference. So what does that mean for Forex Brokers? As the Dubai opened their doors to many international investors with an opportunity to perform a business, as well as giving access to some of the world reaches investors, vast of brokerages opened their branches or empowered their firms in jurisdictions. However, there were many of the companies that didn’t bother to obtain a necessary regulatory status and to be a truly Dubai authorized broker, therefore deliver a trading environment in a way they see it right. Thus, it is possible for brokers to set up a brokerage in Dubai without being regulated by the DFSA. Of course, that involves a significant risk to fall under the fraudulent or scam operation, which unfortunately the Middle East and Dubai in particular still known for. While the question about trust comes up, as the Dubai and Middle East population is a relatively new participant in investment and financial trading, the unscrupulous brokers try their attempt to attract reach, yet naïve investors, by a “lucrative offering” and basically steal their money. In reverse, DFSA mission is to protect all participated parties that act in financial trading in Dubai and to enable fraudulent free and transparent practice, thus the certain degree of safety can be guaranteed only by the authorized brokerages. Basically, the DFSA license is a guarantee to the investors that the company comply with the strict regulations and constantly checked on in terms of their service delivery. So let’s see what are the requirements of the companies in order to become a legal, authorized DFSA company, as the authority attempts reverse towards professionalism and efficiency of the trading environment. Under the law, the DFSA has power to govern activities and general behavior of market participants and brokers in particular. At the very beginning of its history and DFSA regulation of the market, there were mainly professional clients, which affected on a list of requirements and the model the authority operates. While further, the capacity of retail investors increased rapidly on a yearly basis, the DFSA made vast of changes to adapt the regulation to current and the most sufficient manner. Therefore, the requirement included more than $1 million in liquid assets and not involve the local currency the UAE Dirham. In case the company directs its service to retail clients it demands additional endorsements with the details forwarded to resolve clear offering to ensure respective proposal, throughout the honest competition and applied restrictions on marketing or misrepresenting of facts in any way. Of course, this high requirement was not met positively by the brokers, thus most of the brokerages operated illegally, with no authorization. However, since the authority recognized the risks and growth of retail offering or demand, the DFSA centered new requirements and included additional measures and controls. Recently, application fee varies depending on the financial service and ranging from $15-17,000, while the accreditation process will check on the essential level of the staff and top management accreditation and professionalism. In addition, the strictest compliance related to the broker’s money management, while the company should strictly segregate clients’ funds and provide risk disclosure statements with respected regulatory supervision. The DFSA regulation has much in common with the US regulation with a principal of the NFA and CFTC, which made DFSA work closely to international jurisdictions. In addition, the broker may choose between the regulatory guidelines adopted by the UK, US or Cyprus. However, DFSA still reserved any trading restrictions, which includes SWAP account for Islamic traders that is designed according to Sharia laws, and a higher minimum margin requirement that is set between 2-5% and accordingly lowering possible leverage. Furthermore, the regulated broker should provide regular reports on audit and performance, a track of the transactions and ensure the flow of the DFSA guidelines. Otherwise, the company may receive impose of fines, face penalties or be even dismissed. Consequently, the facts of the applied regulations and requirements indeed confirm DFSA sharp references, yet in order to improve their service and the position of the Dubai and Middle East in trading and financial markets, DFSA makes their truly hard efforts to make things better. In 2017, the DFSA conducted a review of subjects concerning financial crimes, with a purpose to improve certain areas of financial trading improvement as the authority identified objectives to risk-based assessments. The DFSA findings reviewed and divert to lack of supporting analysis and money laundering financial risks, application of adequate systems and controls of transaction monitoring, placement of more strict policies and procedures with clients, etc. In light of the disclosure, the DFSA point to introduce a number of actions and focus more on financial compliance according to the international standards. Therefore, the regulator tends to check on the implementation of processes, regular involvement in development, maintain supportive development of internal procedures, along with the constant improvement of requirements and supplement of amendments to supply. In addition to that, the recent updates show that Dubai authority entered into an agreement with the Singapore MAS (Monetary Authority of Singapore) to frame cooperation and develop an environment to sustainable development of financial services throughout technology. The agreement is going to deploy the growth of innovation and FinTech firm’s application towards their global extend between the two markets and further. In simple words, that means that the cooperation mechanism will refer businesses between the functions of markets, increase application of latest technologies like digital payments, blockchain and flexible platforms. The general trend shows that international authorities of respected markets and jurisdictions engage more into cooperation and associated planning with a purpose to improve overall financial stability and integrity between the markets. The collaboration permits a long relationship between the parties, providing an extended basis of protective tools and measures towards investors or traders and promises further improvement of service. The DFSA regulated brokers surely do have a procedure to resolve disputes with clients, yet investor able to go further and submit a complaint. With all regulatory guidelines, if a trader or investor believes in unfair trading experience with the broker, or reach out the fraudulent activity, violation of the laws they can file a complaint directly to the DFSA. The trader should describe what has accrued, provide evidence of events, attach documents if applicable and include details of the situation or another, while DFSA will investigate the case further. DFSA also gives direct input to the traders through the official website and served sources, to promote understanding of the financial market and necessity of regulation, with an aim to maintain confidence in the DIFC industry. The permanent support of DFSA allows to check-on the latest regulatory news, understand the basics of investing, provides guidelines on how to avoid frauds, as well as gives advice in order to resolve complaints or disputes. As the fraudulent activity of forex brokerages and investment firms in Dubai still remains at the high level, the potential investor should stay attentive to common scam signals alike unfamiliar calls with incredible opportunities or complex investment as well not to trust in everything said. And of course to avoid by any mean unlicensed or unregulated brokers. In order to check on the company or another, which is the necessary step, the DFSA online listing carefully appears the forex broker license details and information, which is available on the DFSA Public Register. In general, DFSA oversees over 600 entities and authorized hundreds of brokers, while also is responsible to regulate financial and ancillary services, supervise and enforce anti-money laundering (AML) and counter-terrorist financing (CTF) requirements applicable in the DIFC. In order to choose on the best broker or to check the company, you should also read DFSA Brokers Reviews and get updated information from the engaged traders and other participants. For instance, our website designed to assist in market data includes hundreds and growing of Regulated Brokers Reviews along with Brokers to Avoid, and other useful data. As the Dubai investors face some problems and fall victims of numerous frauds due to a possibility to enable brokerage firms without DFSA regulator, it is hardly advised to choose only those firms that hold necessary operation license and are authorized. Important to mention, the issues appeared only with non-regulated firms operating in Dubai. As Dubai Financial Services Authority ensures highest quality services to the customers through its strict regulation and constant, very promising improvement, high liquidity proposal, software quality and reliability, safety data and banking, as well as customer care standards. At instance the protection by the applicable laws usually available only with the DFSA regulated brokers. Therefore, DFSA truly helps Dubai and Middle East markets to progress in the industry and make the necessary steps in order to facilitate strong position and a transparent possibility of the international offering towards investors and traders.